Tues 23 September – Investor Reveals Secrets for Creating a Multi-Million Dollar Portfolio in Under 3 Years! Growing a multi-million dollar property portfolio may seem impossible, or even years away to many people, but with the right mindset, the right tools, the right education, and the right properties, it is easier than you might think. Many successful investors start with just a couple of properties, and then when ready, they make a decision to grow their portfolio to a multi-million dollar size. For most, the desicion to ramp up their property investing portfolio is an essential step towards financial freedom because achieving this goal sets them up for good capital growth and cashflow as their portfolio matures. 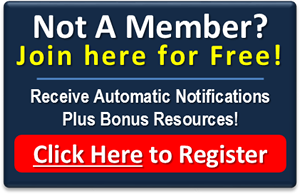 Find out how real people make the life-changing-decision to go from being ordinary investors with just a few investment properties, to extra-ordinary investors with property portfolios worth millions of dollars and beyond! Make sure you attend this month’s meeting where special guest Glenn Newbery will tell us how you could be working towards doing the same thing in 12 months time – or even now! Please join us on Tuesday 23rd September from 6.30 pm for a 7pm start at the Veneto Club in Bulleen. Creating a Multi-Million Dollar Portfolio FAST! 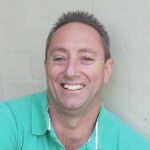 Glenn Newbery is an experienced Property Investor and a graduate in the Results Mentoring Program. And those who know him, know that he is always willing to share his knowledge and expertise. Glenn started his property investing journey back in 1998, but like a lot of people didn’t have any idea what he was doing or where he was heading, he just knew that he wanted to invest in property. He sought out education, and then dabbled in various strategies from buy and hold, to investing overseas, renovations and developing, during which he made a little bit of money, plenty of mistakes and learnt a lot along the way. However after his first few property endeavours he realised he still didn’t have any clear direction. Then 3 years ago, with 1 hugely negative cashflow property to his name, he decided he really needed to make some changes and get some direction with his property investing and ramp things up. Since then, Glenn has built a multi-million dollar portfolio using a range of property investing strategies, including renovation, buy-and-hold, granny flat development, and positive cashflow investing. Come and meet Glenn, and network with other investors who are currently buying, developing, renovating and selling in the property market today. Please join us on Tues 23rd September from 6.30 pm for a 7pm start at the Veneto Club in Bulleen. There is plenty of parking and remember, you are always welcome to bring along friends or relatives who are interested in property investing – it is all about networking with like-minded people! Posted on August 25, 2014 by Tony L.